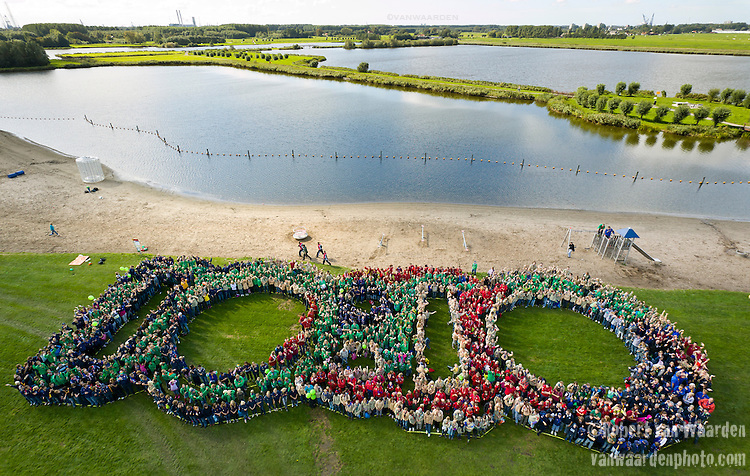 In the little town of Vlaardingen near Rotterdam, an estimated group of 1500 Scouts gathered to create this aerial image of 10:10. The event was organized by JMA (Jongeren Milieu Actief) in Amsterdam. The image reminds us of the goal to reduce emissions by 10% in 2010 as well as to get to work during and after the Global Work Party on October 10, 2010.